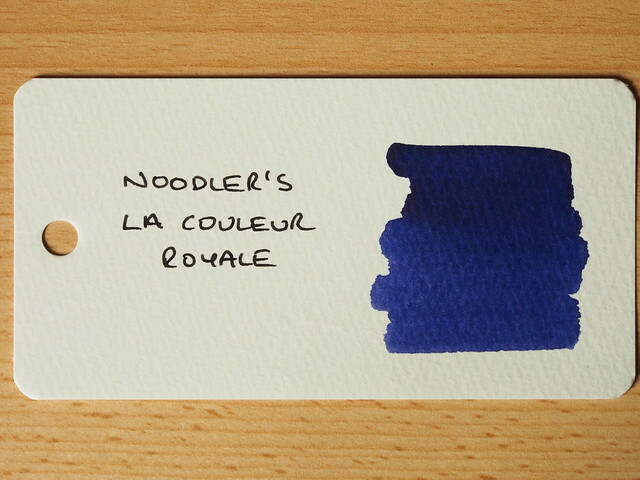 The third in this batch of ink reviews is for Noodler’s La Couleur Royale, which unsurprisingly is a deeply saturated royal blue, leaning towards violet. The label depicts the early demise of a French aristocrat. Although I could find the same image online through Google, at the time of writing this review the original page was unavailable – so I don’t know if the unfortunate aristo is identified on that page, and if he was, in fact, a royal. 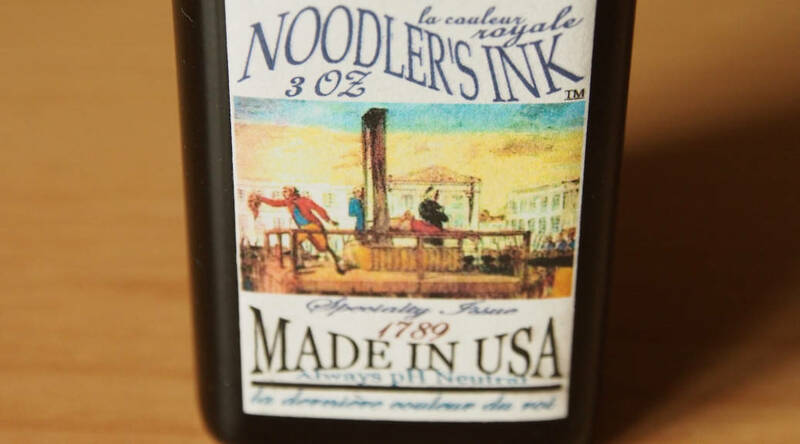 This was an Ebay purchase from the US for a 3oz bottle, so the price was in my view moderate. Box and bottle held no surprises. 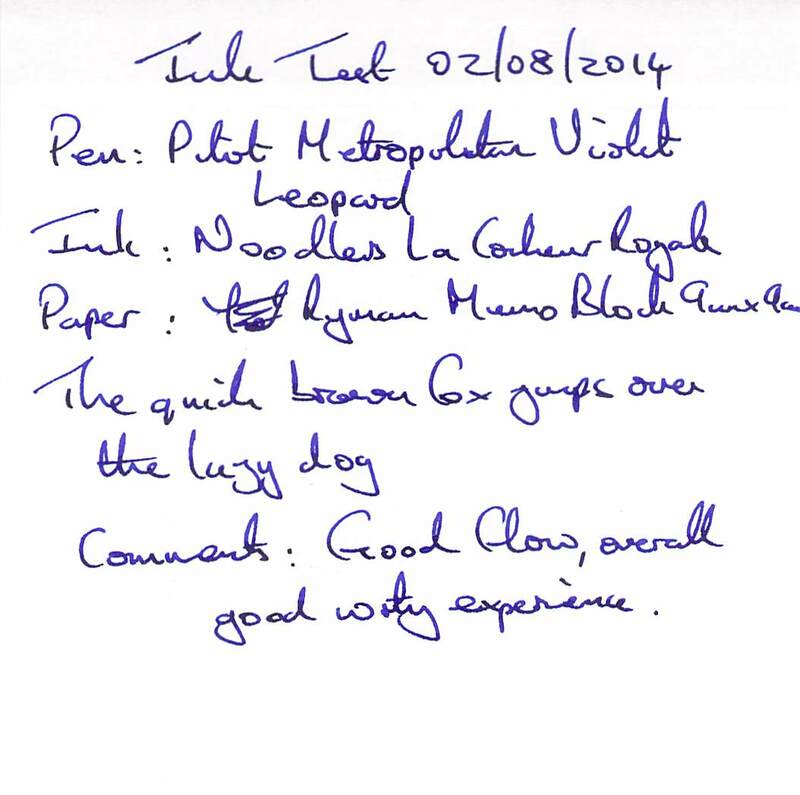 The test pen on this occasion was a Pilot Metropolitan Violet Leopard with a medium nib – a perfect match. Water resistance was minimal. Cleaning was easy enough. 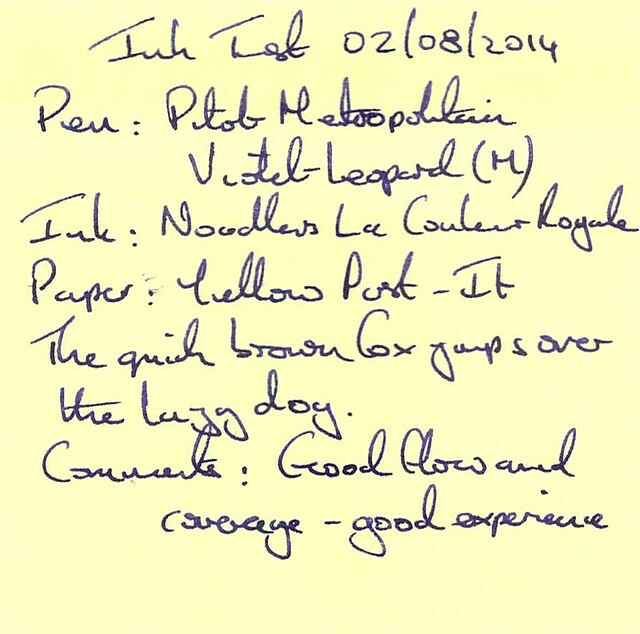 Drying time was very long at over 2 minutes – meaning that the ink smudged easily for a long time after writing. 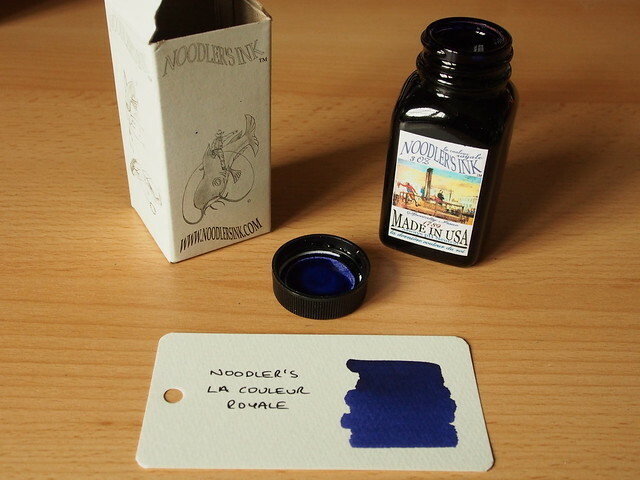 This is a lovely ink to write with. The only drawback is the extended drying time, leading to inadvertent smudging. I really like the colour, which overrides the drying problem. The fact that flow was moderate didn’t detract from the writing experience, and is something I will come back to later. 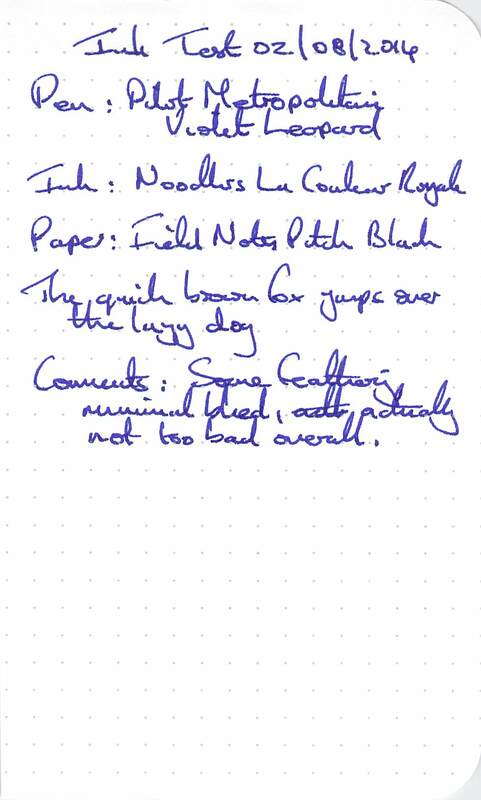 The flow felt a little more free on this paper, and overall the experience was good, despite my fumbled writing. Another good experience, just a slight problem with smudging. 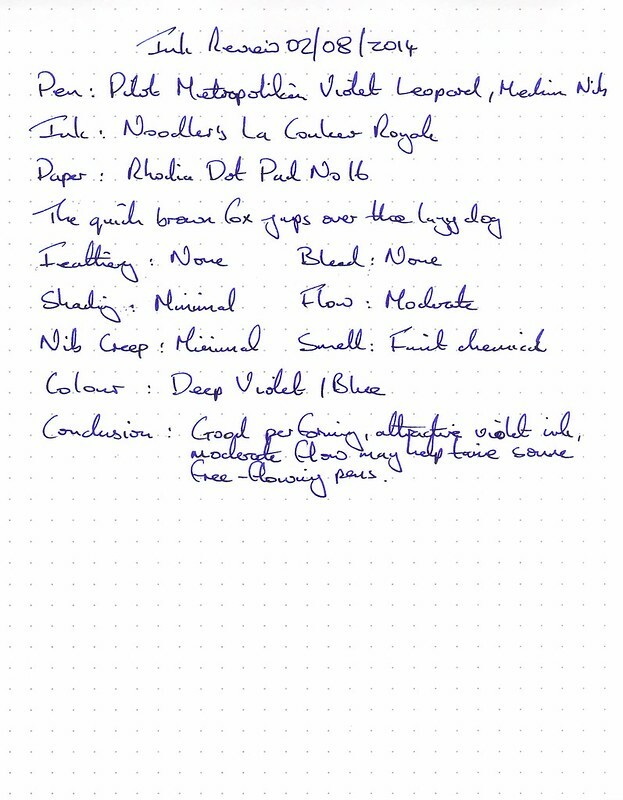 This swab shows more of a purple tint in reality compared to the writing samples, but it doesn’t really come over in this image, which leans more to blue. This is a really attractive ink, with only the drying time as a drawback. The moderate flow tempted me to use this in my Pilot Capless Fountain Pen which has very free flow. The two together are a good combination and I can see the ink staying in that pen for a while.